The 33rd Annual Stevens Point Easter egg roll has been scheduled for Saturday, April 20. Children will be separated by age group at the event, which will be held in the parking lot of Mid-State Technical College. Activities start at 10:30 a.m. for kids up to age 3; 10:40 a.m. for ages 4-6; and 10:50 a.m. for ages 7 and 8. 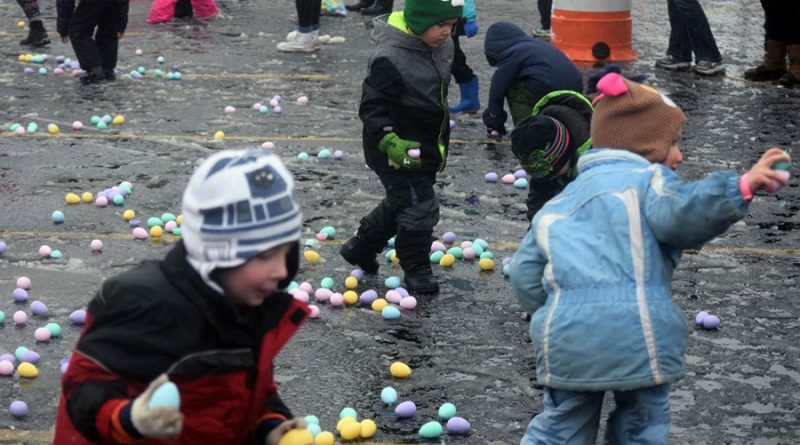 More than 15,000 candy-filled plastic eggs, many with prize slips inside, will be up for grabs. Children will not be allowed to use baskets or bags inside the roped areas. Sponsors for the event include Dave’s Body Shop, AFCME, 97.9 WSPT, GCR Tire and Service, Downtown Point, and Wild Card.